Home Unlabelled 10/8(日) "MODULAR SUNDAY"
T.B. Arthurの出演はキャンセルになりました。詳しくは下記をご参照ください。T.B. Arthur cancelled. Please see the most below for details. 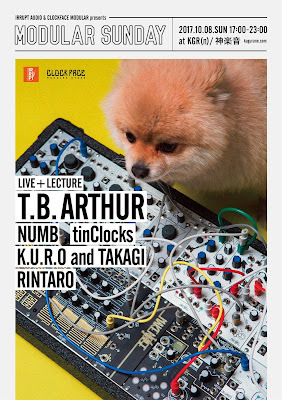 IRRUPT AUDIO AND CLOCKFACE MODULAR PRESENTS "MODULAR SUNDAY"
お得な前売りチケットの購入はこちらから / advance ticket here. 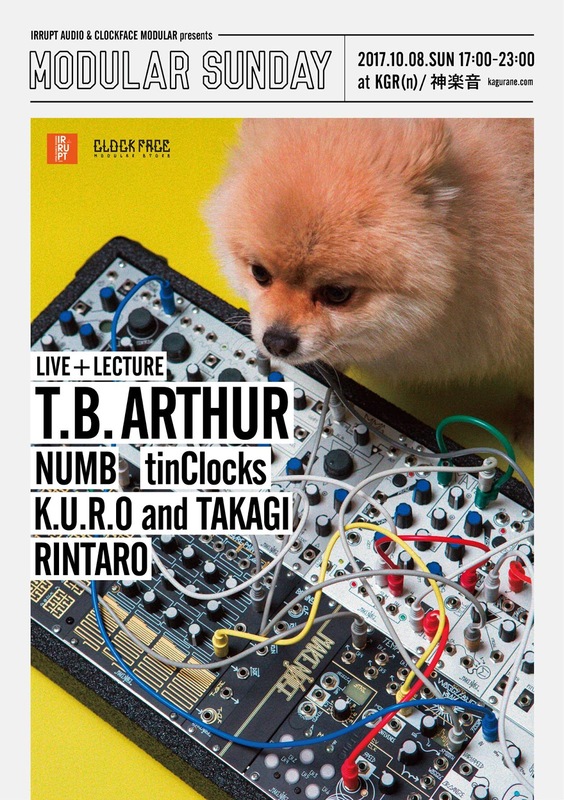 T.B Arthur, who would perform at "Modular Sunday" on 8 Oct has cancelled his performance due to his urgent illness. He wanted to come and play until the last moment, but the doctor didin't allow his flight. We are really sorry about that for those who were looking forward to seeing him. The event, however, will be held with the same concept and slight change. 1. Every attendance except students will be provided a drink ticket with the same fee. 2. The event will open at 5pm and performances will start from 6pm. 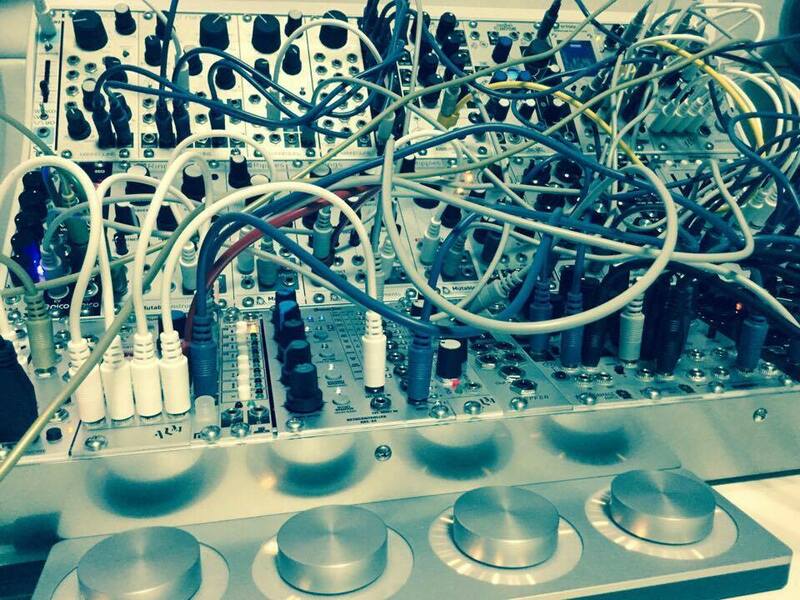 From 5pm to 6pm we have a demo modular system so that everyone can get their hands on it, and can have a brief lesson about how it works if they want. 3. 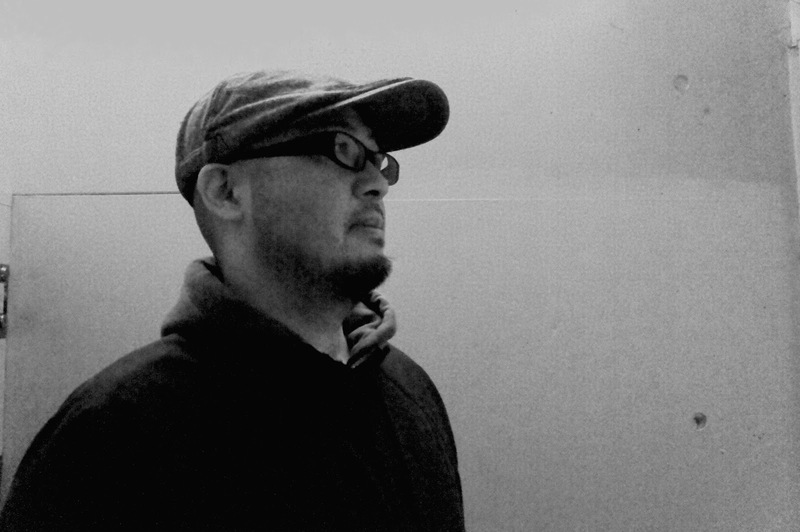 In the interval time, K.U.R.O+Takagi will create some patch that changes automatically and sounds nice, with description of what they're doing. *We can accept a refund for those who have bought advance tickets but doesn't attend due to the cancelling. Please contact ticket@kagurane.com for refund. 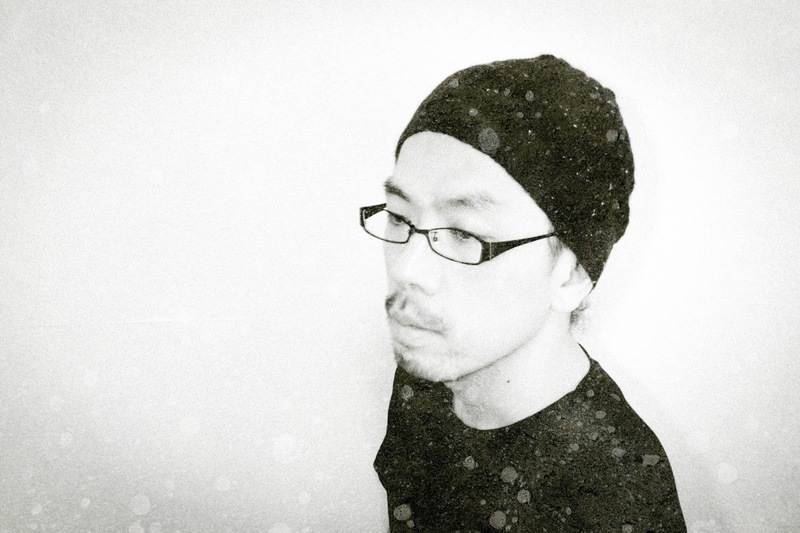 Numb, who has been influential for a long time in Japanese electronic music scene especially with his well-known label Revirth, will join. 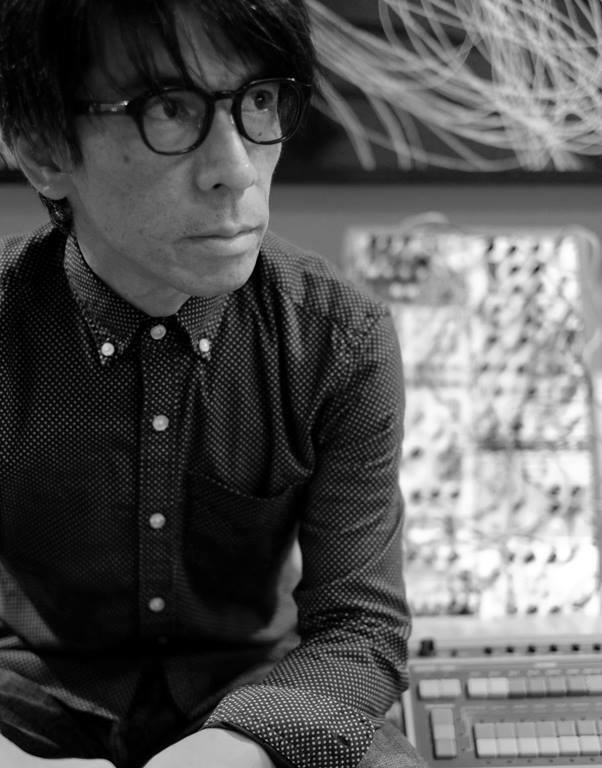 Also talented modular artists like tinClocks and K.U.R.O+Takagi, and the owner of the shop Rintaro will have performance. From 5pm to 6pm we have a demo modular system so that everyone can get their hands on it, and can have a brief lesson about how it works if they want. In addition to those who are interested in modular synths whoever likes to enjoy dance music performed with modular synth are very welcome, and it's gonna be a fun Sunday evening.